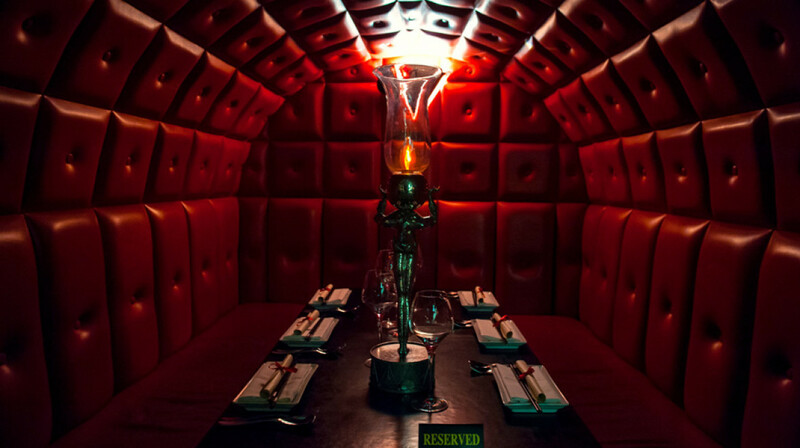 Step into Crazy Bear’s avant-garde world for Pan-Asian food and legendary cocktails. 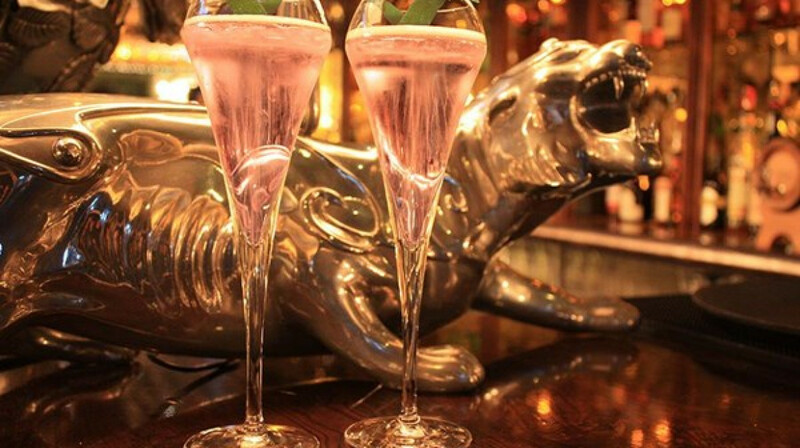 Since it opened in 2004, this bar come destination restaurant has been the last word in London glamour. 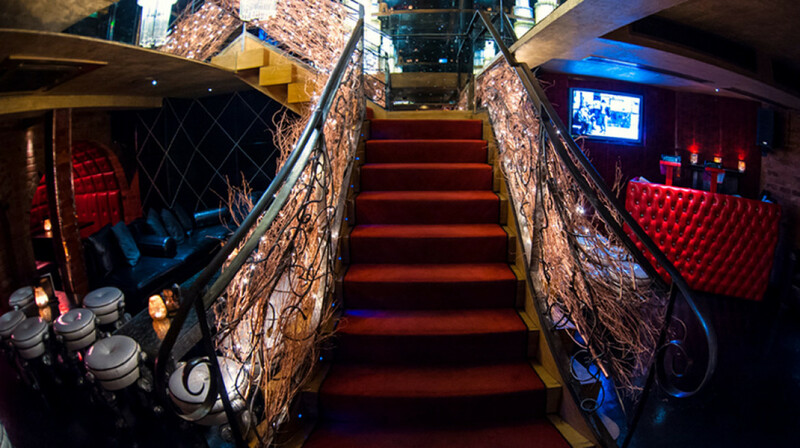 Red carpets and atmospheric lighting make every visitor feel like a VIP! 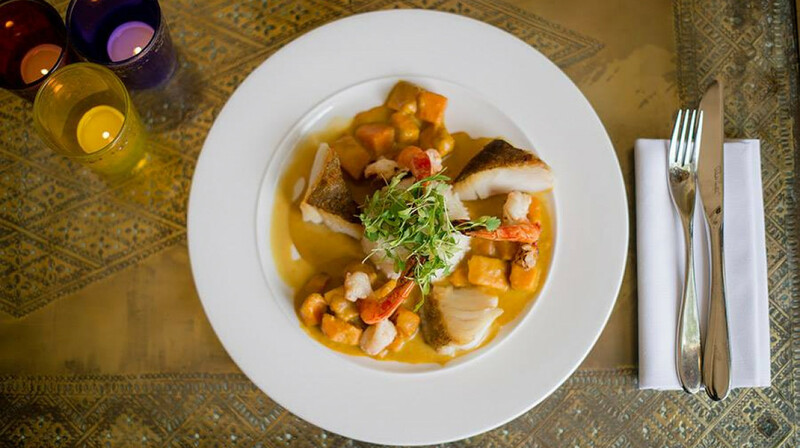 The menu draws inspiration from across Asia. 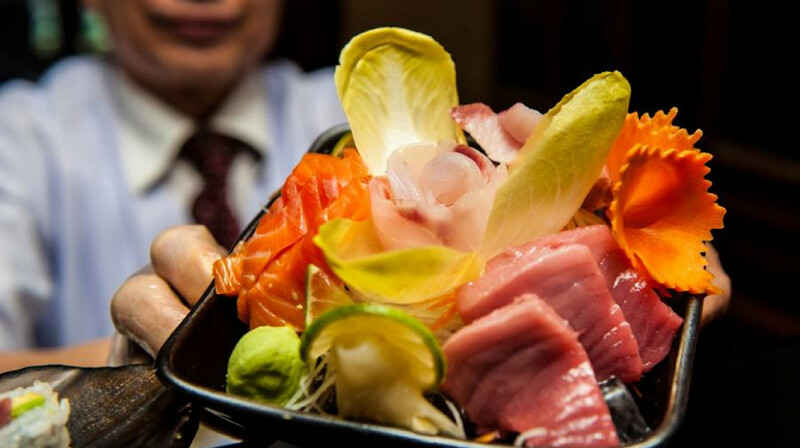 Think sushi, sashimi, barbequed meats, curries and even traditional dim sum. Can’t choose? Opt for one of the combination platters to treat your taste buds to an explosion of exotic flavours. 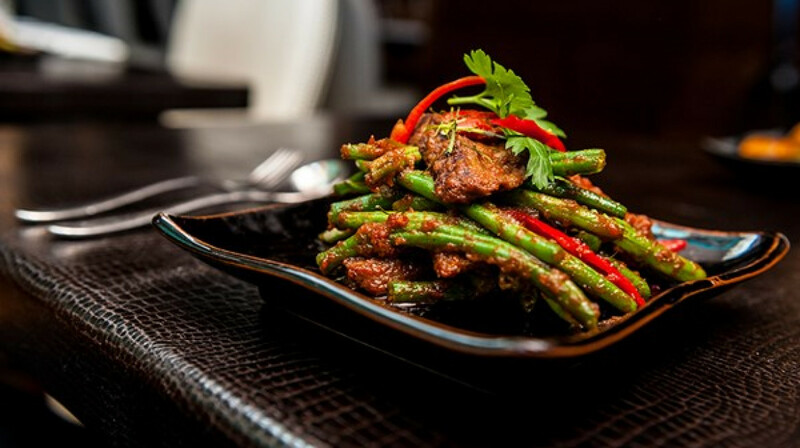 Vegetarians will be in heaven with the selection on offer, from pad thai to stir-fried tofu coated in fiery red curry paste. 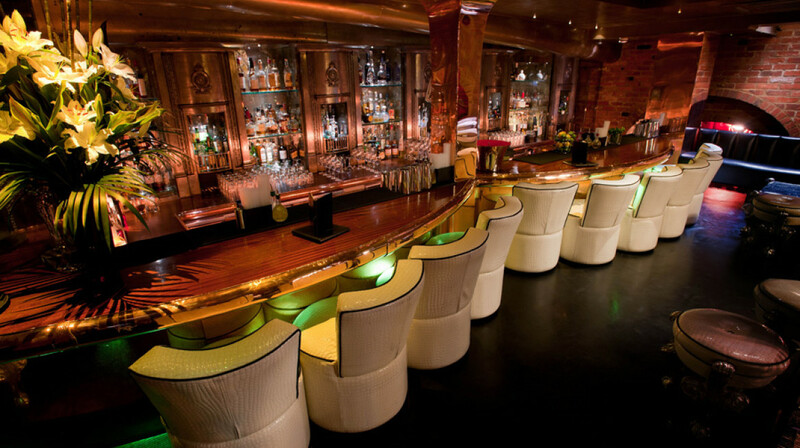 The drinks list is worth the trip alone and no visit is complete without a look at the stylish basement cocktail bar. 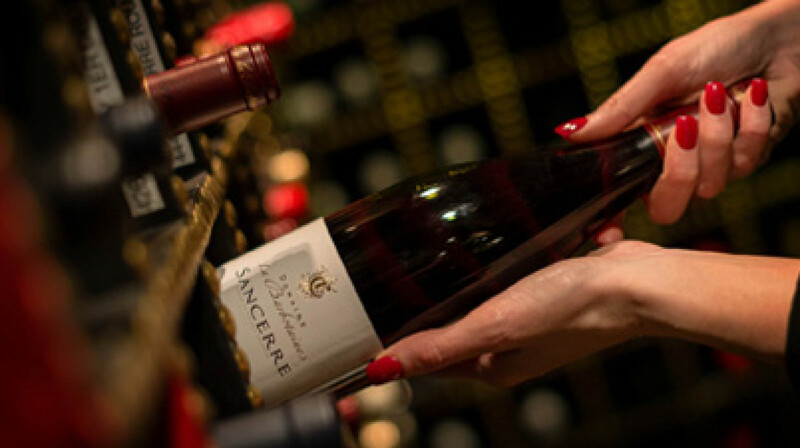 Choose from an excellent selection of fine wines, champagne and classic cocktails, and don’t miss the quirky house serves. Food really nice. I had the umaki sushi avocado and asparagus which was tasty. I then had the vegetarian pad Thai which I asked for spicy which they did. I couldn't eat all as by mistake I added further spice which ruined my taste buds. 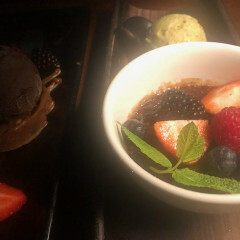 To wash the spice down I had chocolate creme brulee and pistachio ice cream. Really nice. My boyfriend and I had a fantastic time at Crazy Bear. Firstly the hostess was very welcoming even though we were 40min early, our table was so cozy and romantic, our waiter was very professional and attentive and finally the food was incredible. We had bits of everything and enjoyed every last mouthful. Finally the bathrooms are rather entertaining, the doors are disguised as simply a wall and the hand basins have a fountain of water, lovely touch. I really enjoyed my dining experience over at Crazy Bear! The ambience is different but still nice. I dined with 3 of my close girls and it was the prefect place to catch up as it was really intimate location. The staff were friendly and the food came quick - The food was amazing; from the starters, mains and dessert! I will be definitely coming again but this time on a date. The food was incredible so many wonderful dishes and options to choose from. First Table, you did not disappoint with this restaurant. Crazy Bear... You have done it again!!! 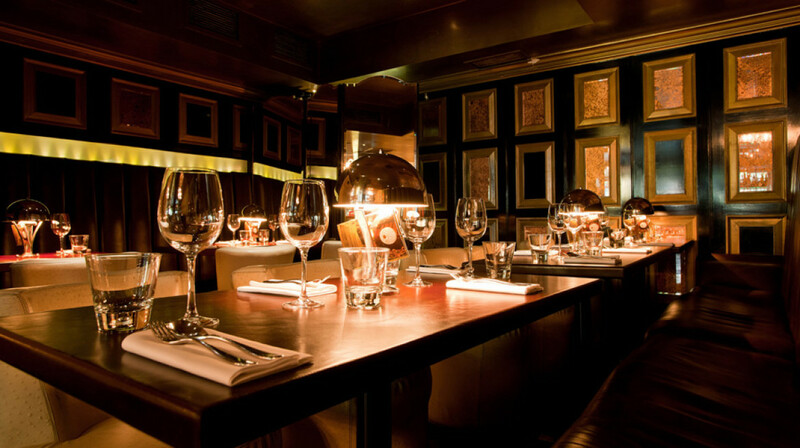 Fantastic food, perfect cocktails, delightful staff and a lively ambience. I honestly can't fault anything about the experience! 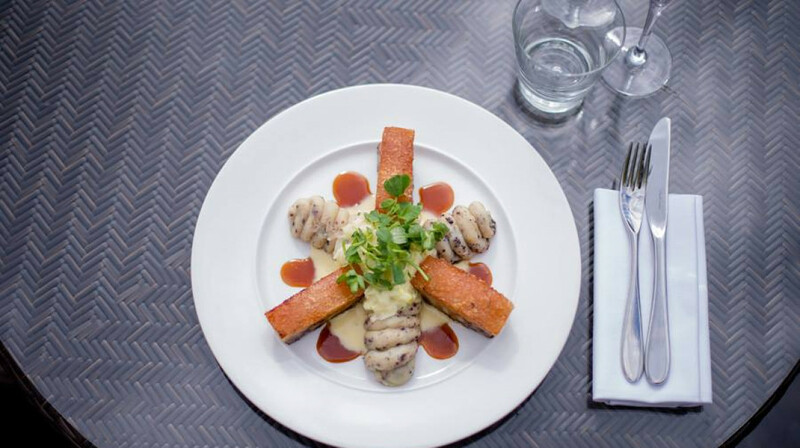 Fabulous food and great service throughout the evening. The venue is quirky and the service was good. However the food wasn't great - i.e. not fresh and just heated up. We had the seafood platter and the fried tempura among other things came out at room temperature not hot. It's overpriced but go more for the ambiance. An elegant, inspiring experience. The food, service and ambience was exceptional. From the initial welcome to being bid farewell we enjoyed every minute. Even the lavatory was bespokely designed to leave an impression. Thanks to all the staff and First Table for making our visit memorable. Had a fantastic evening at Crazy Bear on Saturday. We were lucky to book through First Table and arrived to a lively restaurant at 5.30. The waiter was prompt in bringing us our drinks and menus and explained our offer was valid on almost the entire menu!! Between 4 of us we ordered a selection of sushi, sashimi and dim sum and we were not disappointed. The food was fresh and delicious. 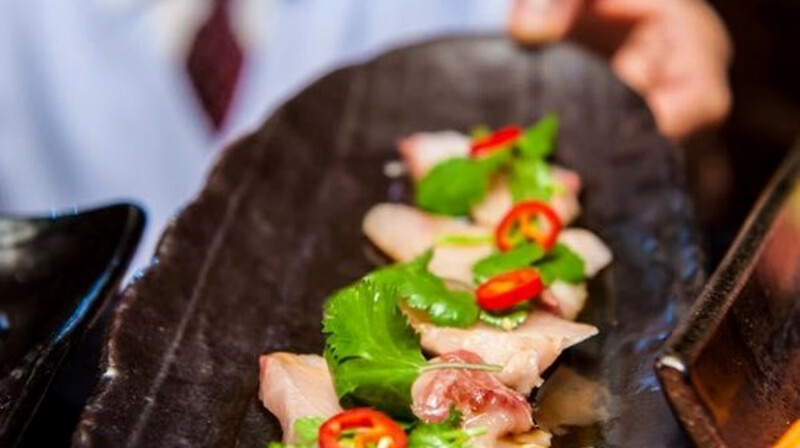 We would highly recommend the yellowtail sashimi and the BBQ pork buns. We will definitely be returning! Thanks Crazy Bear and First Table for the fab offer! I had a nice time, the food was good the staff were attentive. Not a bad experience at all. There was a lot to choose from, quite an overwhelming menu. I wasn’t blown away by anything, but I’d go back and try more cocktails perhaps. Food and service were both excellent. Will definitely be back! Food was delicious. Service was intially slow, tables who sat down after us had orders taken before and we had to ask to order our drinks and food. Would recommend. The food took over an hour to arrive and some of the food had been prepared much earlier and kept warm but everything tasted good. My girlfriend and I visited here Jan 2019 and loved our experience. We dined upstairs, where our waitress was fully attentive and lovely (we personally gave her a tip!). The food was delicious, and would definitely go back again! Thank you First Table for getting them on here! The First Table side of things worked well. The restaurant knew how this worked and communication was great. The food was good but not great. This may be down to our palate as all the ingredients were first class but think it wasn't seasoned to our liking for example the seaweed was crispy and not oily but no flavour. We didn't go wow with our dished although the steak was lovely. There were a few mishaps for example a wrong main course which was quickly rectified but by the time it arrived (not too long) I'd already eaten my side dish. 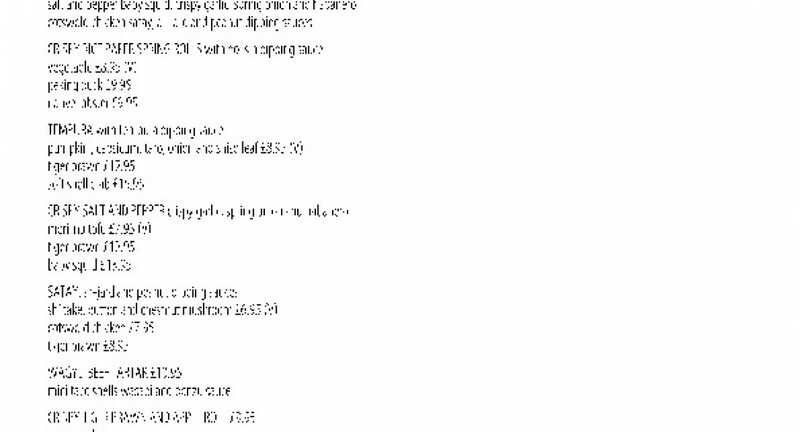 We also got charged for the extra wrong dish but went back and it was refunded. The cocktails and bar downstairs were nice. We were served the wrong coffee (we asked for a cappuccino yet again was put right with no trouble) along with a Marguerita cost over £31. We asked for the service charge of over £9 to serve these two drinks to be removed and this was done swiftly. We all agreed, overall, was good or ok but wanted it to be great as was for my daughters birthday. No special happy birthday mention or acknowledgement of the special occasion. Also unusual as seems everything needs to be booked in advance, either upstairs or downstairs cocktail bar? Glad I tried as been wanting to for some time but was out of my price range at full price with the service charges. Love this place! Great food and nice restaurant! Will definitely come back. I went to Crazy Bear to celebrate my friend’s birthday. I booked via FirstTable and got an incredible discount on the food. I wasn’t aware drinks weren’t included however, as the original writing said 50% off the bill. Regardless the bill was very reasonable. The waitressing staff were attentive. We ordered dim sum and tempura for starters which was delicious. My friends ordered Pad Thai which they enjoyed. However my sushi - Dragon Roll - left much to be desired and tasted worse than the ones you can buy on the go. I expected more from Crazy Bear in terms of the sushi, the fish tasted supermarket bought and overall presentation was not nice. My Tom Yum soup was not the best I’ve had but was alright. I think my food let the overall experience down, but we enjoyed it nonetheless and the deal was very good. Pretty much what everyone else said was spot on. Great cocktails and service but still quite expensive. Also decor was nice and decadent. Such a great dining experience at Crazy Bear. Everything form the starters, drinks to the mains and desserts was perfectly cooked and served. Definitely coming back here! Great date night venue - fun vibe, dim lighting and good music! Not suitable for babies (no changing facilities, stairs to bar downstairs, too noisy for small ears), we learnt the hard way and had to deal with a very fussy baby... will call on the babysitters next time! Outstanding food, perfect service, a template for how it should be. This was our very first 'firsttable' experience and it was quite honestly faultless. 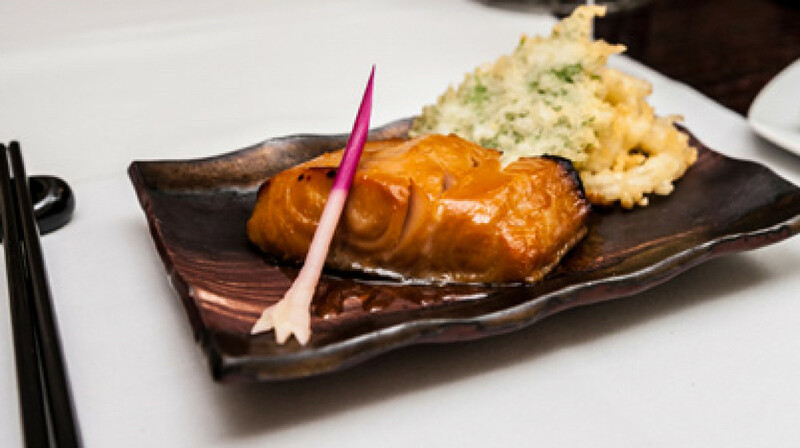 The sushi, dim sum and desserts were mouthwatering. This is one of the few places in London where you can get fresh and good quality fish. Staff were knowledgeable and rather fun, it's lovely to see people enjoy their job! Food was promptly served and cooked to perfection. A nice selection of drinks were on offer in a lovely atmosphere. I am myself a chef and quite frankly I can't wait to visit again. I doubt I could teach them anything. The problems they had with electricity could not destroy our girls night, and even added to a nice ambience. Outstanding!! Great restaurant. Amazing food - highly recommend the chocolate creme brûlée for the dessert! Service was great and fast. I am an absolute fan of this restaurant! The food is amazing. The staff treats you like royalty and the environment is suberb! They have such a big choice in the menu but I am pretty sure anything you order will exceed your expectations! Will definitely come back! Excellent food & service! Some of the best sushi I’ve had in London! They forgot to bring us our dim sum but the wait wasn’t too long & they gave us free champagne by way of apology! The cocktails here were next level. Try the Lychee Elderflower martini - it’s mind-blowing! We went on a special occasion, so the restaurant was adequately dark and mysterious. Food was tasty and whilst you can’t choose from the tasting menu you can order the sharing platters which were decent portions. The Knickerbocker glory mango dessert was Amazing! Upon arrival I had forgotten to show my reservation for first table. I continued to sit down and order when I suddenly remembered. I called over the waiter and informed her of my booking and the waiter said she already knows. I was worried because I hadn’t shown it beforehand. Lovely service. Absolutely amazing menu with super tasty food and cocktails! The hardest part was choosing what to have as so much looked great! The service was also great. Would definitely recommend this place.